Gable vents are a perfect way to enhance the look and feel of your home. You can instantly add a timeless look to any architectural style. Our durable PVC vents work on all types of exterior siding making it perfect for any project. Choose from either functional or non-functional vents! 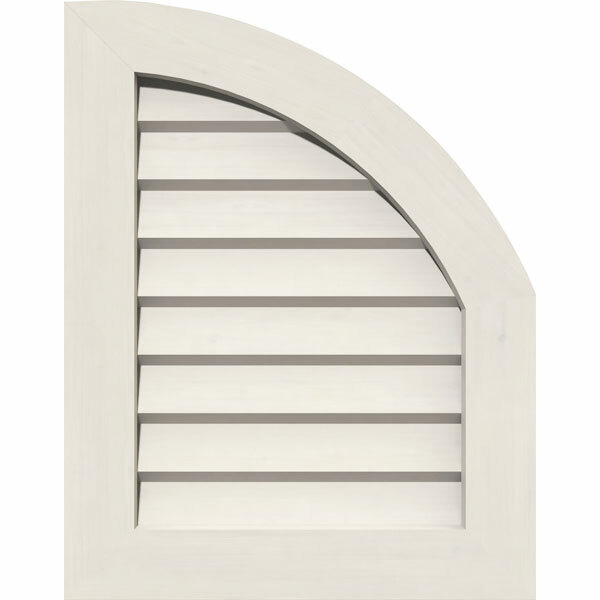 You can even perfectly match your home's color scheme with these fully paintable gable vents. PVC has all the benefits of wood without the worry. Weather and insect resistant, PVC gable vents won't warp, rot, or attract insects like wood. All vents even come with a lifetime warranty to give you peace of mind. With our PVC gable vents, you'll be sure to be sure to keep the timeless look of your home for years to come.